Family 2 Verlena Martin, b. 1892, Mississippi , d. 1918? 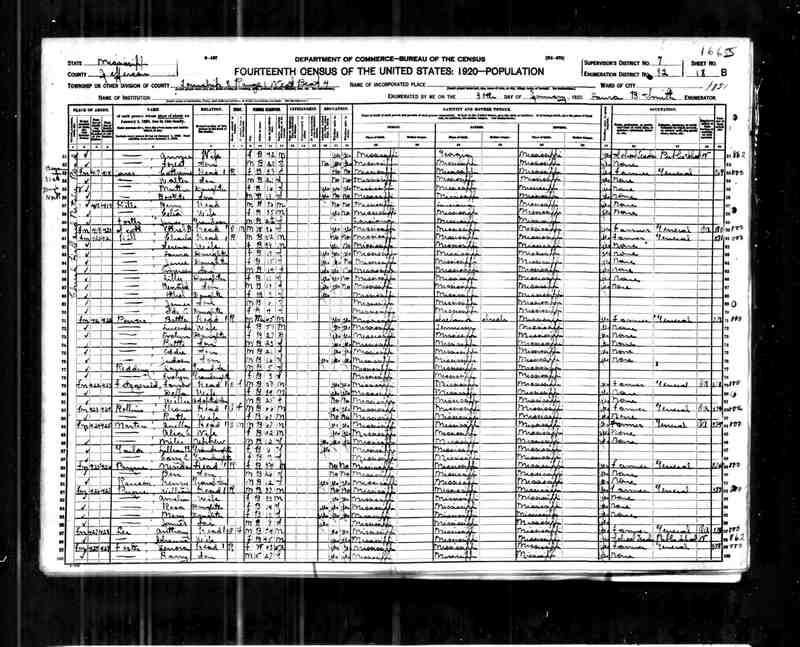 On the 1920 Census we find Emmett's children. However, the mother is not located at this time. [S-2142948370] World War I Draft Registration Cards, 1917-1918, Ancestry.com, (Online publication - Provo, UT, USA: The Generations Network, Inc., 2005.Original data - United States, Selective Service System. World War I Selective Service System Draft Registration Cards, 1917-1918. Washington, D.C.: National Archives and Records Admi), Registration Location: Jefferson County, Mississippi; Roll: 1682929; Draft Board: 0.  [S-2142948398] WWI Civilian Draft Registrations, Banks, Ray, comp., (Online publication - Provo, UT, USA: The Generations Network, Inc., 2000.Original data - United States, Selective Service System. Draft Registration Cards, 1917-1918. Washington, D.C.: National Archives and Records Administration, 1987-1988. Microfilm Publ). 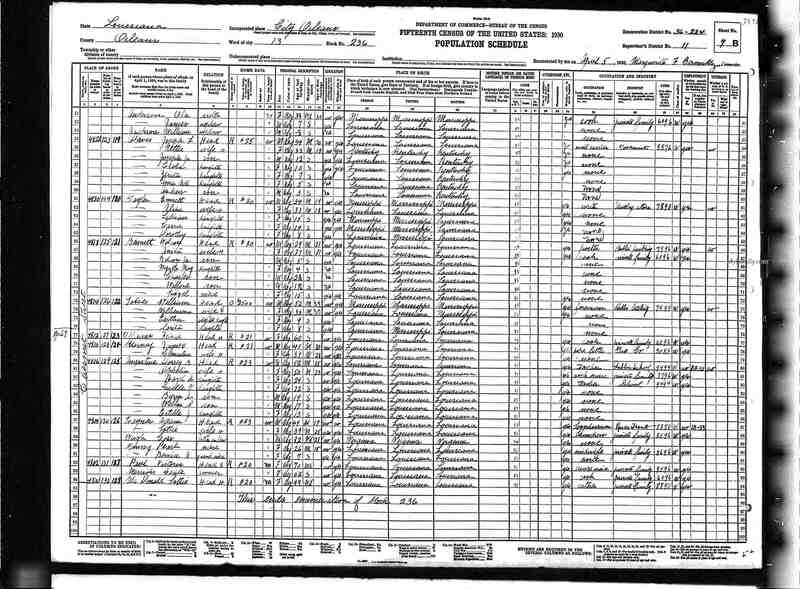 [S-2134050183] New Orleans, Louisiana Marriage Records Index, 1831-1925.